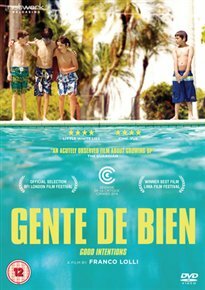 Ten-year-old Eric is sent to live with his estranged father in Bógota and struggles to adapt to his new life. Living in one of the poorer areas of the city, Eric and his father struggle to make ends meet. However when Eric meets one of his mothers acquittances, a middle-class university teacher, who offers to help out Eric which tests the father-son relationship.